Kristin Hannah grew up in Southern California, but moved to Washington state during her youth and has lived there ever since, placing most of her stories there, as well. She went to law school but then later decided she was meant to be a writer. 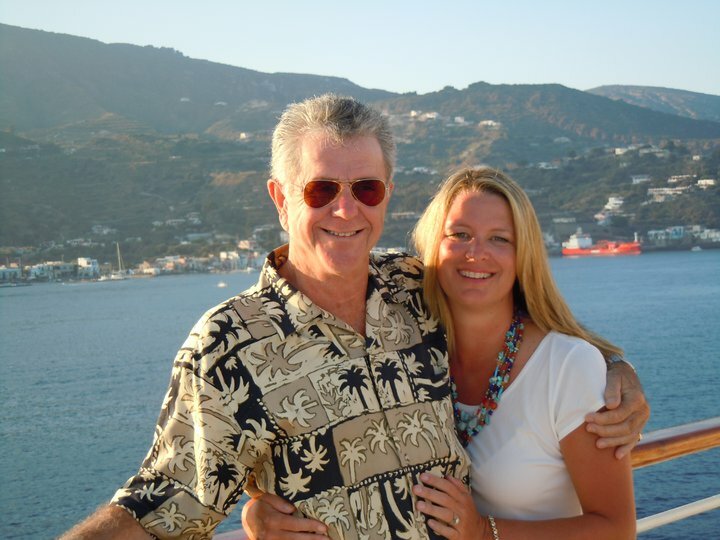 She became a professional writer in 1990 and has never lost her love of, or enthusiasm for, telling stories (most of which are tearjerkers for all her loyal readers). 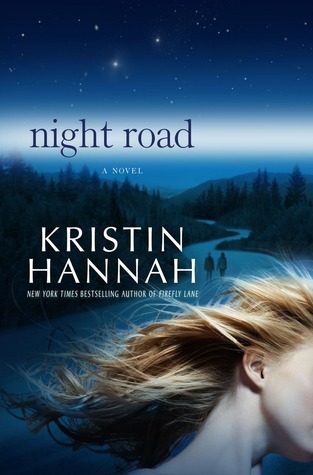 Kristin dropped by Chick Lit Central on the day of publication for her latest novel, "Night Road" (reviewed here) to answer our questions about "Night Road" and talk about her writing experiences, which we hope you'll find as interesting as we did! Wiley Saichek from AuthorsOnTheWeb has three copies of this long-awaited novel to give away to some lucky readers in the US or Canada! If you like what you've read here, check out Kristin's blog and become a fan on Facebook. MP: How do you like to spend your time when you aren't writing? KH: Well, to be honest, writing is actually one of my favorite activites. I simply love to world build and write down what I see. But like all jobs, there are times when I need to be away from it, need to decompress a little and enjoy some of the other things I love. My favorite place to be in the world is on a beautiful beach, watching the surf roll toward me, reading a book. I love to ski and surf and run. And traveling--that's my new big thing. Since my son moved away from home, my husband and I have finally found the time to do a little traveling and we love it. In the past few years, we've visited Africa, Mexico, and Italy. Next up: Ireland. KH: I have loved everything about writing, including the haul it took to get published. I can say with certainty that I'm glad my first novel wasn't published. And so is anyone who reads my work. :) It takes a long time to really get your feet wet with writing and to begin to know what you're doing. That's one of the job's great joys--you're always learning something new, always growing, always striving to be better. Specifically, for me, the start of the career came about because of two key facts. One was that I found my writing soul mate, my critique partner, author Megan Chance. We have really been there for each other every step of the way for twenty years. We learned how to write together and we continue to push each other to be better with every book. Secondly, I entered my newbie novel in two prestigious writing contests and won them--that paved the way to getting "the call" from an editor and got me started. MP: What was the biggest challenge you faced while writing "Night Road"? MP: How did you celebrate when your first book was published? KH: Hmmm...that's a great question. The truth is I'm not quite sure. I probably called my girlfriends and my husband and my family and screamed a bit with all of them and then made dinner. :) I'm not a huge event celebrater. I try to celebrate the smaller joys in my life, and never to take anything for granted. I try to remember that as much as I love writing, it's a job, and what matters--good news or bad news--is the journey of it all. That means that if I don't take the great news too seriously, I don't have to take the bad news too seriously, either, and that outlook keeps me on an even keel. MA: Which of your books do you feel you've put the most of yourself into? KH: Definitely Firefly Lane and Night Road. MA: What was your inspiration for "Night Road?" KH: My inspiration for Night Road was my son's senior year of high school. In the middle of it, I was honestly as stressed out as I've ever been, and I'm not an overly stressed out gal, and my son was a great kid. But that year was a constant battle of wills between us. I was doing everything I could to keep him safe and steady, and he was doing everything he could to test his wings and find his independent self. It made for a crazy, wonderful, stressful, terrifying year. And any parent who has been there (and any kid who has lived through it) knows that once the partying and staying out late and "I'm eighteen, I'm an adult, you can't tell me what to do" starts flying, you are kind of at a loss. I also saw with my son how keenly important that year was to him. He and his friends became so emotional and melodramatic and connected to one another. I loved hearing how much they meant to each other, and how afraid they were that these lifelong friendships would fall apart when they went their separate directions. I wanted to explore all those powerful emotions. I also wanted to look back on all of it, with the perspective of time, and see if there were things I could have done differently. MA: Are you working on any more novels for the next year or so? MA: Who was your favorite author when you were growing up? KH: Let's see. Flat out favorite? Stephen King. But before him, there's a list that tracks the course of my youth: Frank Baum, Laura Ingalls Wilder, Roald Dahl, JRR Tolkien, Arthur C. Clarke, Frank Herbert, and S.E. Hinton. MA: You do call-ins and visits to book clubs: What was the most challenging question you were ever asked by someone in a book club? KH: The hardest question for me to answer is always "where do you get your ideas?" I try to come up with something that sounds good, but the truth is that I don't really know. I go in search of them and somehow they find me. I go through a lot of wrong ideas before I find one I'm willing to commit a year of my life to. MP: You recently took a trip to Italy to celebrate your birthday, what is the most memorable part of the trip? KH: So much of it was memorable. I flat out fell in love with Italy. But I would have to say that the most memorable city was Florence. Sunrise on the Arno river was an absolutely magical experience. Special thanks to Kristin for answering our questions with so much detail and to Wiley from AuthorsOnTheWeb for giving away the books. 1. Please tell us: Who was your favorite author when you were growing up? I am so excited for this giveaway. Thank you for the offer!! My favorite author as a "tween" was Ann M. Martin author of the babysitters club. I would sit and read those books day. My favorite Kristin Hannah book was Firefly lane. I loved it. Could hardly put it down and bawled like a baby! and lastly I just joined the facebook site. Lacey H again. I've never really had a favourite author; I just enjoy reading books. Having said that though, I believe I have every book that Maeve Binchy has written.. When I was younger, I loved Sweet Valley Twins. I've only read Firefly Lane by Kristin Hannah and all I can say is "wow." I haven't cried that hard while reading in a long time. Already a follower of the blog through GFC. When I was a teenager I loved the scary R. L. Stine books! I loved summer time when my mom would let me buy a bunch to read by the pool :). I haven't read it yet, but I have Winter Garden at home ready to be devoured! My favorite author when I was growing up was Phyllis A. Whitney who wrote wonderful mysteries. On Mystic Lake is my favorite. My favorite author growing up was always changing, but I definitely remember loving Judy Blume and staying up late a lot to read her books! My favorite Kristin Hannah book is definitely Firefly Lane. That book made me cry like a baby! My favorite author growing up was Judy Blume. I'm still a huge fan of her work even as an adult! I've never read a Kristin Hannah novel but my mom is a huge fan and is always telling me I should read her books! What better book to start with than this one! aaaaaaaand I am a fan on Facebook! I always liked the Beatrix Potter books, mainly for the pictures! I rad The Things We Do For Love, and really enjoyed it. i remember reading a lot of 'agatha christie' books growing up. One of my fav authors growing up was V'C Andrews I still check out the newer books once in awhile but its hard to beat the first couple series. Fav Kristin Hannah book so far has to be Winter Garden Loved it! I follow your website but I'm not on facebook yet but will do when I join Thank you! I was a HUGE Babysitters Club fan growing up! My favorite Kristin Hannah so far is Firefly Lane. Unfortunately, for me, I've only read one book of Kristin Hannah's, called "Distant Shores" - what drew me to the book were the dynamics between the mother and daughter relationship. I have had some turbulent times with my mother, but I've always striven to make amends, and this book was a perfect read. Very touching novel. If I had to choose which novel of Kristin Hannah's I'd pick up next, I'd have to say, "Night Road" and "Firefly Lane". Thank you so very much for hosting this amazing giveaway! My Favorite KH book so far is Winter Garden. It was a stunning story. Couldnt put it down. throughout the book I talked out loud to the character Meredith, just wanted her to lighten up, forgive her mother, talk to her husband. While I was growing up I loved Bevery Cleary, Judy blume, SE Hinton and christopher Pike. Growing up I LOVED the Babysitters club books by Ann Martin! I have not yet read any of Kristin's books, but Winter Garden looks like a good place to start! 1. My favorite author growing up was Lois Duncan - I especially loved "Killing Mr. Griffin" and "Summer of Fear.". The beautiful thing is that my son, who is now 8, had a favorite book as a toddler called "I Walk at Night" and it was written by Lois Duncan! 2. Until recently, my favorite Kristin Hannah novel was "On Mystic Lake" but now it's got to be "Winter Garden." I love how she took a story about familial relationships and added an element of historical fiction. It was brilliant and heart wrenching at the same time. 3. I'm now following this blog through Google Friends Connect..
5. I joined Chick Lit Central on Facebook. My fave author was Francine Pascal (Sweet Valley High Series) then i matured to Jackie Collins. My fave book by KH is Firefly Lane. Just like the movie Beaches! I am a follower.